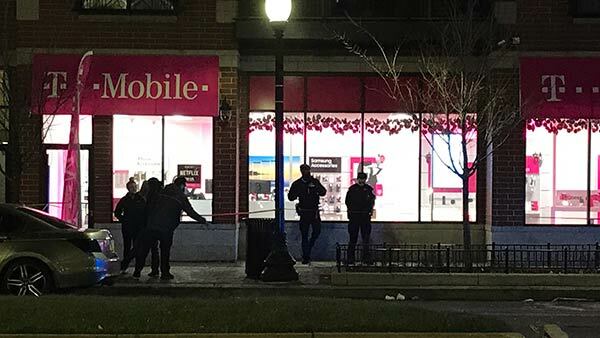 CHICAGO (WLS) -- Chicago police said a 55-year-old man was shot in the leg at a T-Mobile store on the city's Near West Side Monday night, by a concealed carry permit holder. Police said the victim was causing a disturbance in a store in the 0-100 block of South Western Avenue at about 6:30 p.m.
Another store patron, who has a concealed carry permit, fired shots and struck the victim in the leg. He was taken to Mt. Sinai Hospital in critical condition. The victim, who caused the disturbance, is in custody and charges are pending. T-Mobile released a statement, saying, "We're grateful that our employees and customers are safe, and we're cooperating with law enforcement on their investigation."